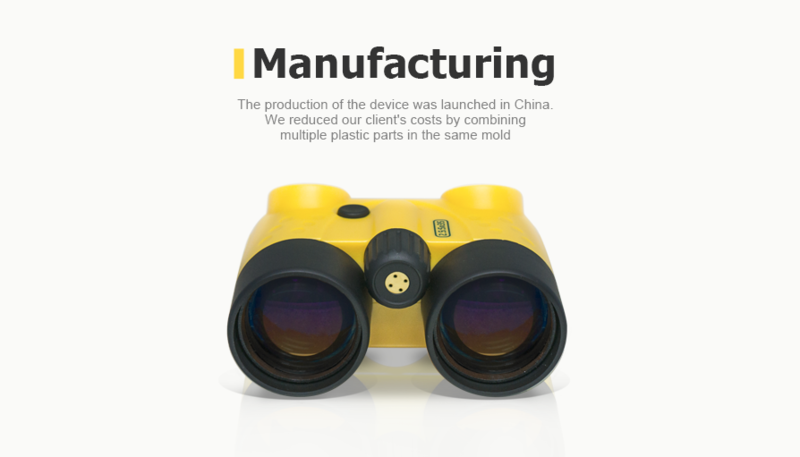 We developed the design and structural layout of an enclosure for binoculars with a discrete magnification power of 2.5:5, as well as manufactured its prototypes and set up production in China. 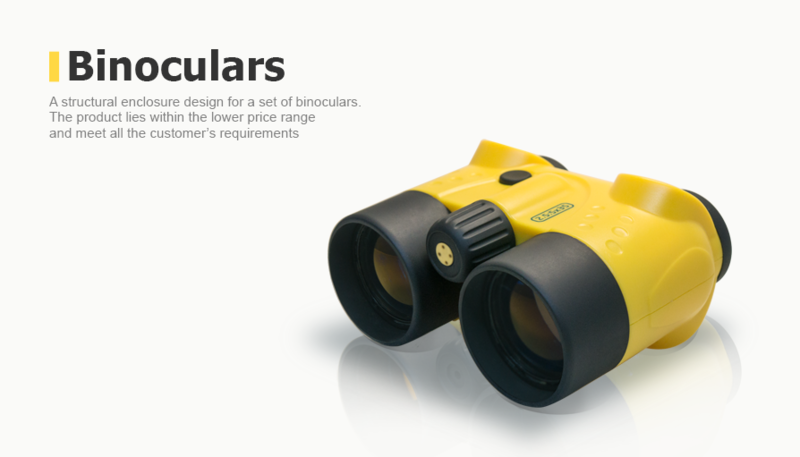 Potential users of the product: fans at sports stadiums, spectators and participants of mass events in open areas. 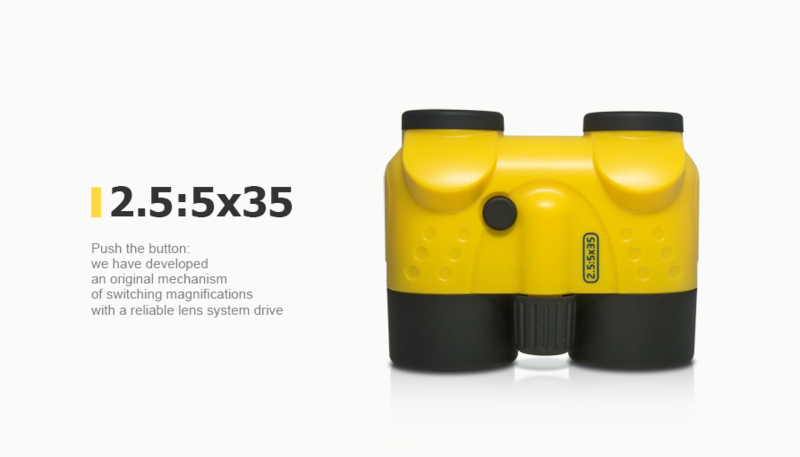 Our designers and industrial designers met the customer's basic requirements for the product's ergonomics and colors: the device sits comfortably in your hands, has bright coloring and features a special spot for a logo. While working on the enclosure design, we also implemented splash protection.